I’m back with some end of the year tips, games, activities, and lessons! It happens every year. You have a few days with warm temperatures, and students all of a sudden think that it’s summer vacation. Or, state testing finishes, and students think it’s time to pack things up. 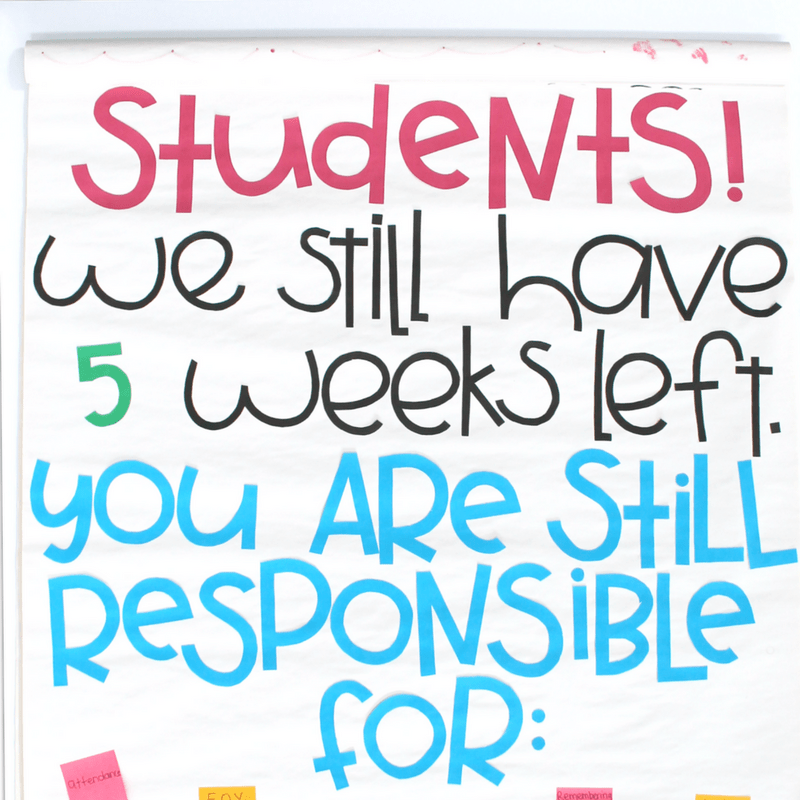 Unfortunately (or fortunately) for them, they still have 5 weeks of learning to complete. I think it’s important to have fun at the end of the year. However, with 5 weeks left, that is a lot of valuable learning time. So, each year that I ran into this problem, I pulled my kids to the carpet to have a quick class meeting to discuss the expectations until the very last day of school. I prepped this anchor chart ahead of time. When they came to the carpet, they always had a lot of suspicion about what was written on top. I purposely wrote the letters VERY large so that I could hang this anchor chart in a place where everyone could clearly see it each day. 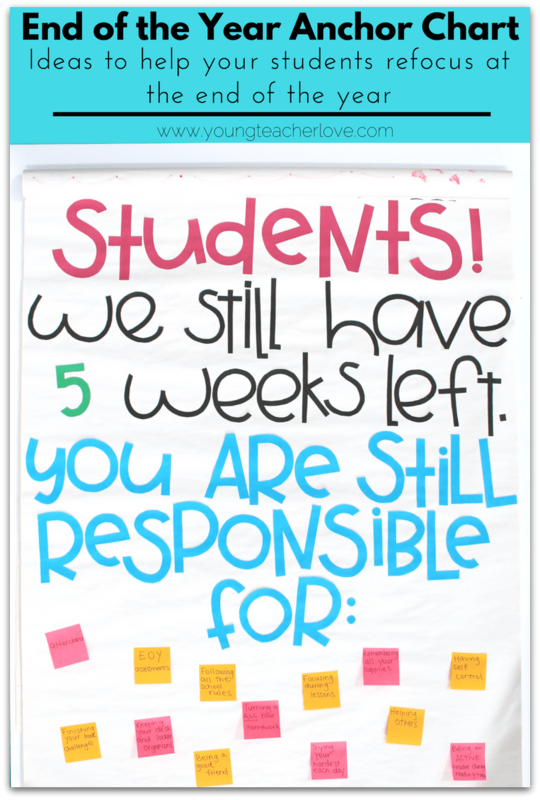 We took some time to talk about expectations and their responsibilities as a student. We then brainstormed different things that they are responsible for until the end of the year. I wrote their ideas on sticky notes and stuck the sticky notes to the anchor chart. Things students came up with include: attendance, EOY assessments, finishing their book challenges, keeping their desks and lockers organized, following all the school rules, being a good friend, turning in all of their homework, focusing during lessons, trying their hardest each day, remembering all of their supplies, helping others, being an active reader during reading time, and having self-control. Giving students this type of ownership during our class meeting really set the expectations high and made it very clear what they were responsible for until the end of the year. Plus, we were constantly referring to this chart, which beats reminding them of the same things over and over and over again! Also, I think it’s important to still make learning fun. I plan a few different fun, hands-on, interactive lessons for the end of the year. 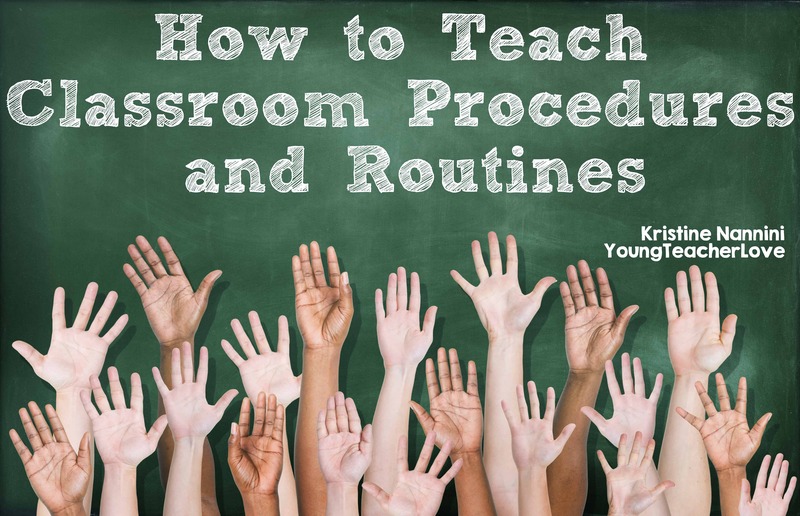 That way students can get out of their seats and socialize with their peers. 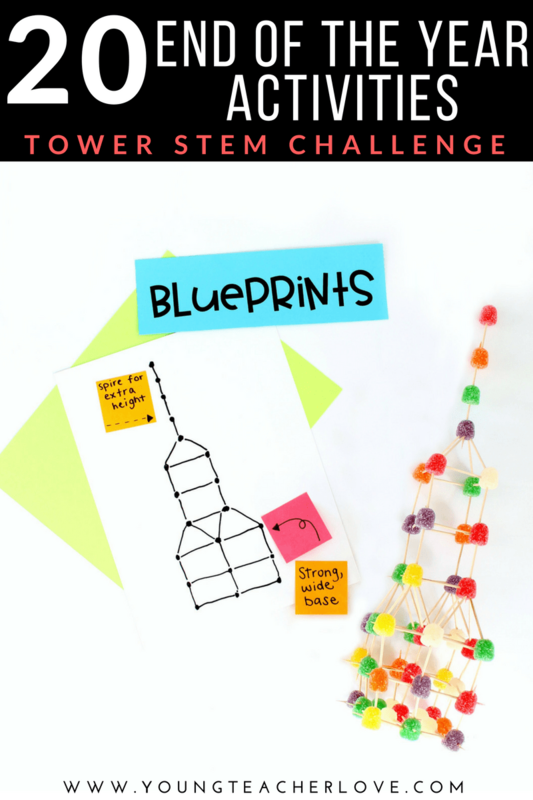 You can find fun, interactive STEM activities in my End of the Year printables below. 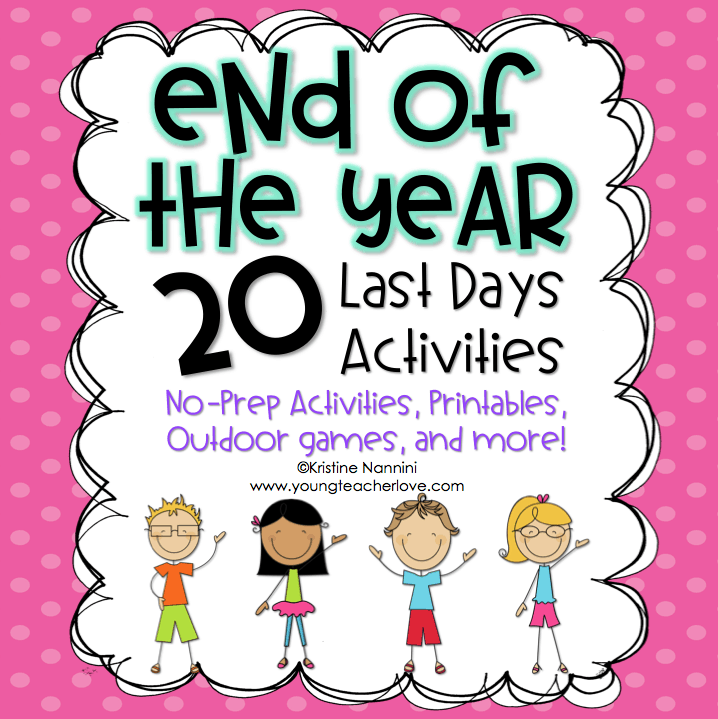 Grab the above activities in my End of the Year Activities found HERE. Since it is the end of the year, it’s still important to have fun. 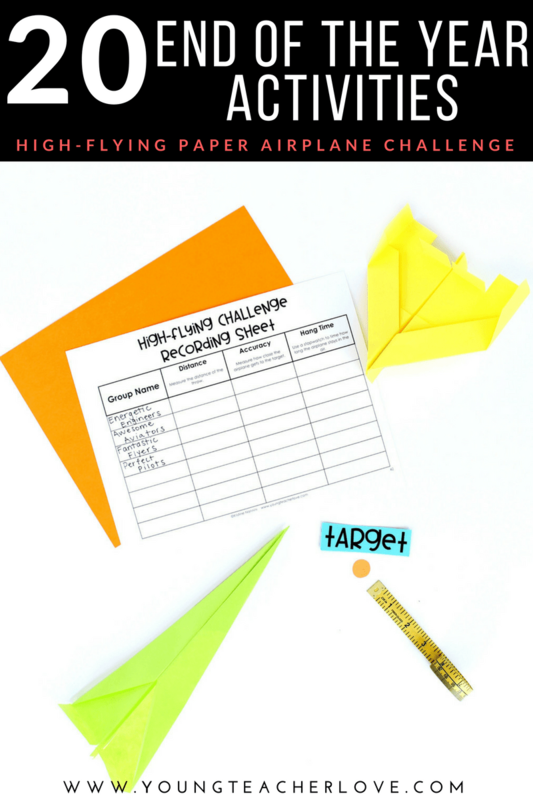 When students earn it, we take a quick part of our day to complete a fun activity from my End of the Year Activities and Printables found HERE. Cooperative learning naturally motivates students. They love the opportunity to interact with and discuss ideas with their peers. Bonus if you can add technology! This will really keep students engaged! When the weather turns warm and sunny, kids love to be outside. I can’t blame them. I do, too! You can take so many lessons outside. Some examples include: using sidewalk chalk to solve math problems, independent reading or read aloud time in the grass with a special blanket or beach towel, completing printables outside with the use of clipboards, doing math games outside (see below), completing an outdoor science scavenger hunt like the one I blogged about HERE, graphing different things like cloud types or tree types observed, comparing and contrasting various flowers, etc. 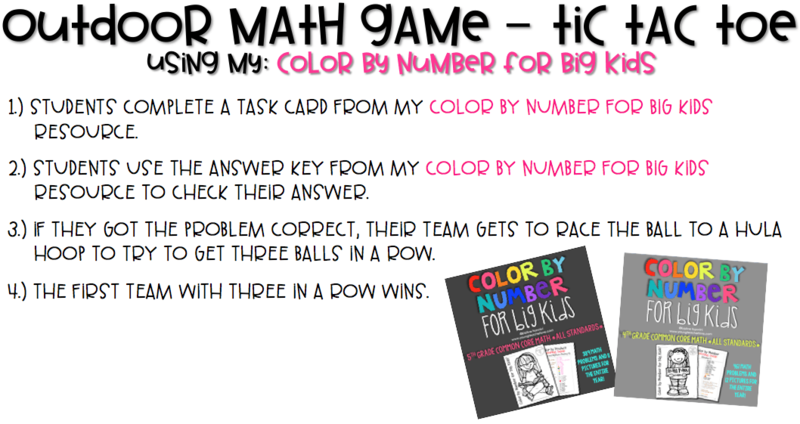 Here is an example of a math game @miss5th did with her students using the task cards from my Color by Number for Big Kids resource found HERE. I love the tic tac toe game!!!! Thank you for your details and easy to navigate blog. Can’t wait to explore more of it.